Looking for alternatives to SAP Cloud for Customer? Tons of people want CRM software to help with data import & export tools, dashboards, and integration apis. What's difficult is finding out whether or not the software you choose is right for you. We have compiled a list of CRM software that reviewers voted best overall compared to SAP Cloud for Customer. Based on reviewer data you can see how SAP Cloud for Customer stacks up to the competition, check reviews from current & previous users, and find the best fit for your business. "Best Sales Partner: Salesforce helped us managing sales, customers and customer charges in our first project of Real Estate. We could adapt the system to our company making it really personalized to our business. It´s easy to manage and use and it allows you to make your own business program. We managed to control customers, sales team reporting, charges, sales units and documentation control with just one tool. Our system allows to make contracts, receipts and reportings. Now we are setting the second project and adapting Salesforce for the best exploitation. We`d like profit all the benefits of the system improving uses and managements. Reports are so easy to create. It´s a system that offers you the best reporting mix with effectiveness and easy handling. For us there is a before and after the company since we used Salesforce. Encourage other companies to choose Salesforce as CRM, they will not regret. " "your company's growth is firm: The platform I like its incorporation is incredible and offers a number of features that are not to be missed, its marketing tools, technical support services, are key to managing the market and promote your company, and each tool is in one place , I am learning a lot with this application. " "Zoho is the CRM that offers the tools for a correct database. : Actually Zoho seems to me a complete software since it allows the company to optimize the pre-sales and sales processes, in truth it is very dynamic and easy to use, it allows us to optimize our revenues in a shorter time, also interacting in social networks is very easy in general we like a team very much. " "Things about Dynamics CRM: The user interface and capability to customize scenarios. You can easily filter activities based on various points. Create account view based on information you need. Also user management, assigning lead and geographic info helps to manage accounts easily. We can also track the revenue and invoice management easily. " " pipedrive aide à gérer. : Les modèles pour envoyer des emails peuvent être personnalisés pour améliorer la conception. 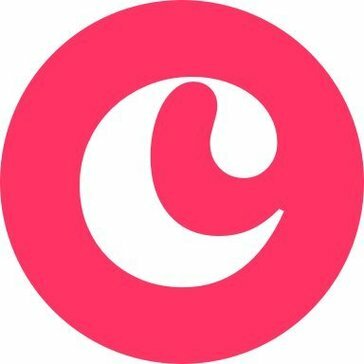 Cette amélioration lui permet d’être davantage valorisé, car c’est très professionnel d’envoyer des emails via cette plateforme. Vous pouvez entrer plusieurs utilisateurs et il est facile d’ajouter de nouveaux équipements intégrant ces utilisateurs. Vous pouvez fabriquer et concevoir différents équipements de vente de manière simple, ce qui facilite la création de nouveaux groupes." "Transforming my Motivation: I am motivated by the sales funnel. It keeps me calling my clients because I like to see deals in the works and deals won! I really enjoy having my clients all together in one place. I like being able to see the emails and social media profiles. I am already making connections through LinkedIn where people are following me and calling me for potential business." "New Business Reps Trust Tool: I use this platform because it allows me to more effective and efficient. I visit a lot of companies when I prospect and I have a lot of conversations that give vital details that need to be remembered. This helps me capture all the information, and then easily look it up later to see what was discussed, with whom, and when it was. Also, the ability to GPS the address directly from the app and direct dial from the saved phone number makes it very efficient. " " very timely our sales, simple that makes its handling easy. : We identified a progress through this software, Freshsales has been an essential strengthening for this company, through it we monitor our sales, we also identify potential customers to run our corporate businesses, it is new and practical because we can send emails, make calls, phone conversations, very timely, their traces are effective, it is agile to perform any operation." "It provides us with insight into nearly every sales angle of our business: Once we learned about the basic features and functionality of Insightly, it became very easy to use on a daily basis. It has many tools that help us to keep our teams informed about current activities, future plans, client backgrounds and numerous more details we can leverage into substantive action. The panels and windows with charts and other data are great for absorbing overview data quickly." "Specialist in Business Resources planning. : Copper is very flexible when it comes to managing, personalizing, I like the advantage it has with the interactions of each client and allows me to have my potential clients separated from my real clients, it really makes it less tedious, it allows me to analyze the inconveniences of a sale and follow up on the process. " "Close but needs work: The mobile app and the ability to save documents in Max that can be accessed remotely. The ability to create custom fields that allow calculations"
Workbooks.com delivers an intuitive, fast to implement CRM that empowers small to mid-size organisations. "Workbooks Review - Easy Working: Workbooks allows our company to capture data and record the sales progress of our enquires through to order. It also allows us to create marketing campaigns and be able to understand the response rate of our campaigns. The reporting aspect of the workbooks is also very powerful and they run as live data which enable us as a business to monitor growth and orders as and when the data is created in workbooks. As a cloud based system this system allows are external users to have access to the workbooks system no matter there location." "Flexible startup CRM With Annoyances: This CRM is very affordable for small businesses looking to scale sales ops. It offers a lot of flexibility within their framework. Their customer service is responsive and they constantly roll out new features. " "A CRM with great flexibility and custom options: I really like the report function that is easily customizable and allows monitoring and tracking of the team's performance. In addition, you can also export the report results to spreadsheets for further analysis. The next amazing feature of this platform is its control panels. They are one of the most important parts of the platform and one of the simplest tools. Using SugarCRM does not require any coding skills. We largely just drag and drop items." "The number 1 tool for starting a business: The ease of use is fantastic. I was up and running in no time at all and have even customised a lot of fields to fit with my business needs. I couldn't run my business as efficiently as I do without this tool." Act! makes it easy for businesses to grow, delivering proven CRM and powerful Marketing Automation—the ultimate toolset. The Act! portfolio also includes Act! 365, purpose-built for Microsoft® Office 365 users looking for simple CRM with integrated email marketing. For over 30 years, Act! has been a pioneer in the small & midsized business software market and today offers the rich functionality, unparalleled flexibility, and exceptional value that enables a perfect fit for every customer. "Cost effective, customizable solution. : Overall, ACT! has met the needs we have when it comes to a database. We have had a few hick-ups but those have mostly been user errors. We really like that we have been able to customize the CRM to meet the needs of our non-profit." Siebel delivers a combination of transactional, analytical, and engagement features to manage all customer-facing operations. Siebel CRM delivers comprehensive on premise and on demand CRM solutions that are tailored industry solutions. "Siebei Review: I like the fact that there is a hub infused in the software where company information on products and services can be sought for and pulled out. This has equally made employee training easier since there is an infused hub where I can get a vast array of information which can be used to provide management with accurate information." "Less Annoying CRM lives up to its name: I love the user-friendliness of this program. It took me less than a day to get started, and it is now my hub for ALL relationships: business and personal. The best feature are its grouping capabilities and email logging. The import process is also very thorough." "Being an early adopter brings with it the weight of technical debt: NetSuite’s standard capability is easy to use and deploy. The expansion into mobile platforms is good although it could be better. They used to have Outlook integration which although buggy was an excellent method of ensuring all customer comms via email were accurately recorded in CRM"
"Really powerful issue: SAP is the best management issue to apply in a company. I have work with similar applications but they haven't such as applications like SAP. The best part of the program is the possibility of take the control of the hole process of a sale. For example, the salesman can make an order to the provider, and the rest of the company can see what exactly he did. 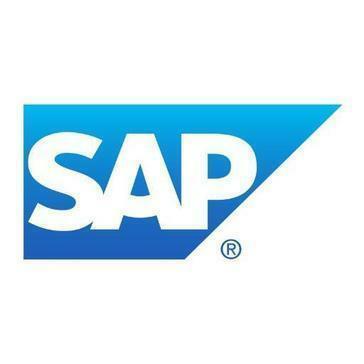 You can personalize SAP with thousands of characteristics that interest you and your company. " Hi there! Would you like help finding solutions similar to SAP Cloud?